Be the first to share your favorite memory, photo or story of Ting-Kai. This memorial page is dedicated for family, friends and future generations to celebrate the life of their loved one. DURHAM: Dr. Ting-Kai Li, 84, passed away on Sunday, November 18, 2018 at Duke University Hospital in Durham. He was born on November 13, 1934 in Nanjing China, the son of the late Chao and Lily Sie Li. Dr. Li earned his undergraduate degree from Northwestern University and his medical doctorate from Harvard University. He completed his residency training at Peter Bent Brigham Hospital in Boston where he was chief resident in 1965. Throughout his distinguished research career, Dr. Li was at the center of advances that transformed not only how the scientific community investigates the effects of alcohol on the brain and body, but also how alcoholism is genetically influenced. Early in his career, he conducted research at the Nobel Medical Research and Karolinska Institutes in Stockholm, Sweden before becoming deputy director of the Department of Biochemistry at the Walter Reed Army Institute. There, he rose to the level of lieutenant colonel during the Vietnam War. 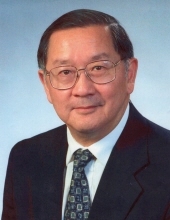 Dr. Li served at Indiana University School of Medicine for 31 years, and was the Distinguished Professor and the Associate Dean for Research. The author of over 500 journal articles and book chapters, he was elected to membership in the Institute of Medicine of the National Academy of Sciences in 1999. He later served as the Director of the National Institute on Alcohol Abuse and Alcoholism at the National Institutes of Health in Bethesda, Maryland. After leaving the National Institutes of Health, Dr. Li became a Professor of Psychiatry at Duke University School of Medicine in Durham, North Carolina until he formally retired in 2013. Dr. Li is survived by his wife of 58 years, Susan Ning Li; daughters, Jennifer and Karen; sister, Yuling Wei; and grandchildren, Kristin, Kaitlyn, Jennifer, Thomas, Theodore, and Megan. He was predeceased in death by his brother Tingye and sister Weiling. A private memorial service will be held at a later date to be determined. In lieu of flowers, the family requests that memorial donations be either made to: 1) the T.K. Li Chair in Medical Research at Indiana University School of Medicine. Please make checks payable to: IU Foundation and mail to IUF: PO Box 7072; Indianapolis, IN 46207-7072. Indicate “In memory of T.K. Li” on the memo line. You may also make donations online at https://medicine.iu.edu/give/ or to 2) the T.K. Li Lectureship on Alcoholism, Research Society on Alcoholism, 7801 North Lamar Boulevard Suite D-89, Austin, Texas 78752-1038. To send flowers or a remembrance gift to the family of Ting-Kai Li, please visit our Tribute Store. "Email Address" would like to share the life celebration of Ting-Kai Li. Click on the "link" to go to share a favorite memory or leave a condolence message for the family.